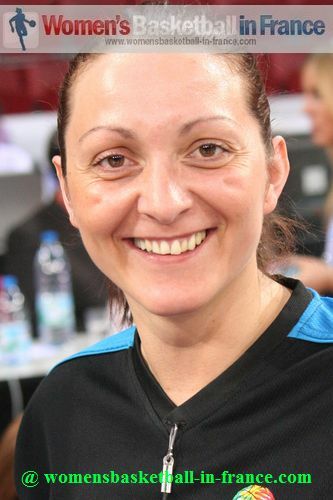 The 2012 EuroLeague Women season finally ended with Ros Casares becoming the European Club Champions for the first time in their history after winning against Rivas Ecópolis in the final of the Final Eight. However the season was long: 154 games in the first round, 16 play-off matches concluded by 20 matches during the Final 8 finale. The competition runners-up Rivas Ecópolis played in 21 games, the highest for all 23 teams involved in the 2012 edition. Next season (2013) only 21 teams will be invited into this competition. This means three groups of seven teams for the first phase. This change implies that all the teams have two extra weeks of rest during the round-robin league phase. A major change sees teams that are eliminated in the first phase of ELW join for the first time the play-off round of the EuroCup Women. 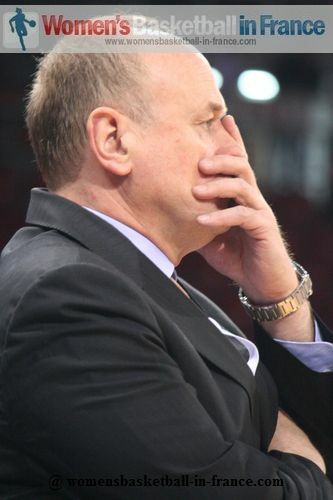 There is no change to the best-of-three play-off series, also known as the second round. However 5th to 8th place classification games are also not played. Hopefully these changes will also include changing the play-off qualification system for ranking by including the points of all games played. As long as an association can afford the costs of hosting an EuroLeague Women Final Eight, then this format is the best for women's basketball provided that the predefined seeding system is maintained to determine the final groups. 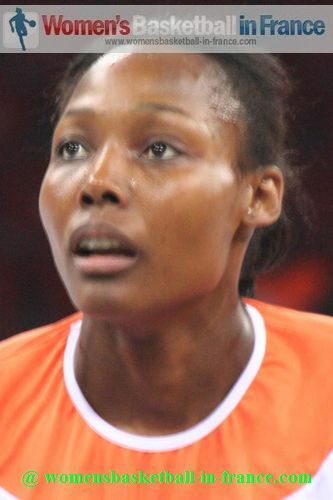 We asked French international and UMMC Ekaterinburg player Sandrine Gruda (in picture) about her thoughts and she believes that "the final eight format is tougher than the Final 4 because they have to play more game. I like the change because it gives chances for more teams to challenge for the title, as well an opportunity to play against some of the smaller teams in a final environment, although it is physically demanding on the body." Gruda went on to explain "that in my situation with Russian Play-offs in April, it is non-stop basketball, it is like boom-boom-boom, everyday a game and no time to rest, and from here we go straight into the Russian play-offs, so all these matches." 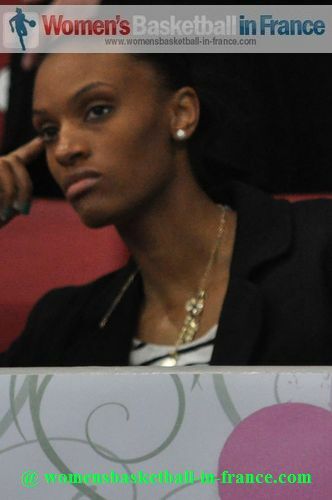 Actually Gruda hit the nail on the head with her quotes about how demanding the schedule was, saying the only time senior players play three games in three days is when playing for national teams. 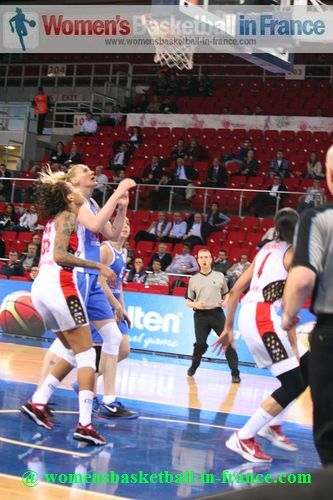 The opening round of World Championships, EuroBasket Women and other continental championships tend to start with three days of games before a rest day. But with the domestic league structure around Europe and the costs associated with such a tournament there is no way the Final Eight can be extended beyond five days. Although the classification matches for 5th - 8th place were played in great spirit and entertaining, it is a good decision by FIBA Europe not to continue with these games in the future. We also believe it is not possible to squeeze in a semi-final round into the competition format without having a rest day. 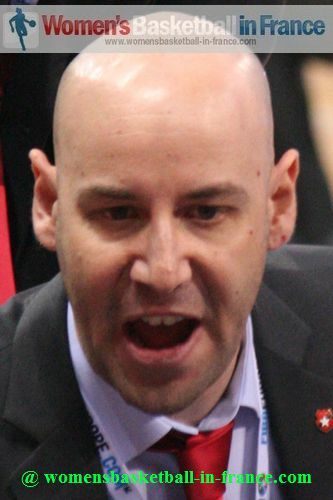 Ros Casares' coach Roberto Iniguez chopped and changed his tactics and players all the time without any player shining throughout the tournament. All the same, when required, different players stepped up, and the result was that the team went all the way to the final and won. 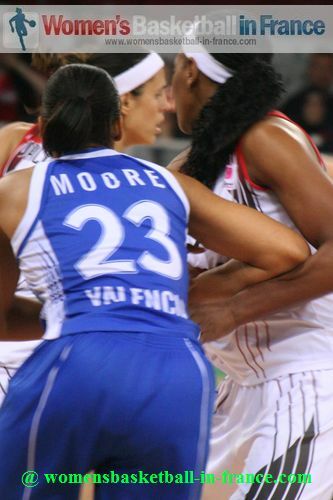 Silvia Dominguez and Sancho Lyttle were winners in 2011 with Perfumerías Avenida. The runners-up Rivas Ecópolis came to Istanbul telling everybody they had nothing to lose and blazed their way into the final. People forgot that Rivas finished the regular season as the 4th ranked team, so their performance was not really a fairytale but a confirmation of their regular season. Essence Carson and Amaya Valdemoro told us that the success of the team was more to do with team chemistry: all the players whether in training, on the court and on the bench had a part in the journey. In the case of Algirdas Paulauskas (right), a freakish accident to Sue Bird on the opening day left his team playing catch-up for the rest of the tournament. UMMC Ekaterinburg would have liked a semi-final between the top two teams from each group. For George Dikeoulakos and Fenerbahçe SK, the victory against Galatasaray MP cost them dearly. 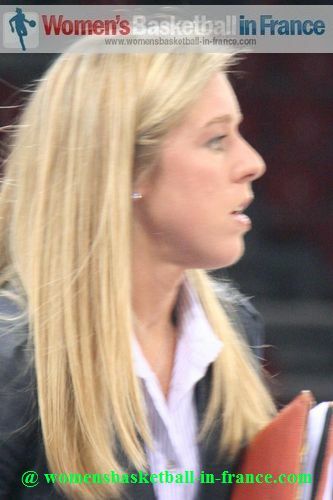 Penny Taylor was injured and then they had to wait in the arena for more than 90 minutes after the game until the supporters had been escorted away. The match against the hosts was the only game during the tournament when the arena was packed. How the players actually played the match in such a hostile environment is still a mystery. You can watch some of our clips from both sets of fans in the video. The Fenerbahçe players were not able to recuperate enough before the final group match against Rivas Ecópolis and hence lost their unbeaten record and a chance of playing for the title. 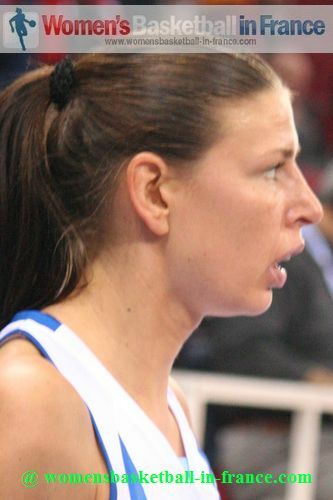 Maria Stepanova, Penny Taylor and Chiara Consolini all went down to ACL injuries during the five-day tournament. The exact degree of injury for each player is not known. Taylor is looking for a second opinion and is still hoping to play in the London Olympics, while Stepanova's participation has been ruled out. Stepanova and Consolini are expected to be out for at least six months. 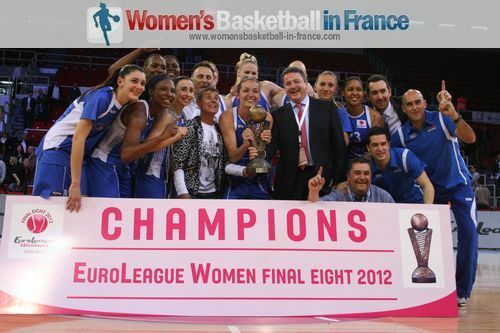 French international Isabelle Yacoubou-Dehoui cannot stop winning since she picked up a EuroBasket Women gold medal in 2009. 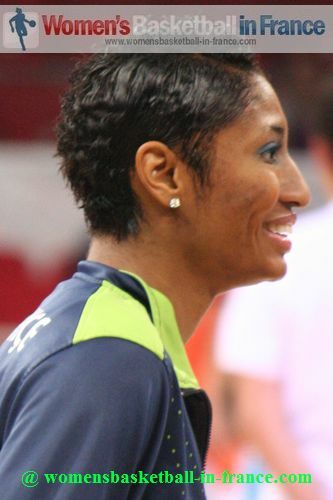 She was just one of two French players involved in the Final 8. 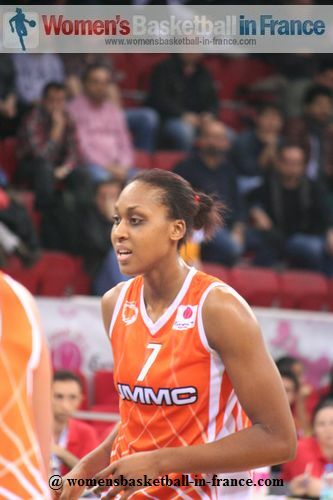 Sandrine Gruda walked away with yet another bronze medal from the EuroLeague Women. The French clubs next year will just have to work harder to qualify for the Final 8. It is a format that clubs like Bourges Basket can perform well in, but first they need to qualify.